Heavy snow rapidly fell across the region, knocking down trees and power lines and making an absolute mess of the afternoon commute -- which turned into an evening commute ... which turned into a late-night commute. While the snow may look pretty on all of the trees now, the cursing could be heard from all corners of the DMV Thursday night as people trying to get to their destinations, well, couldn't. And when they got home, many were welcomed by a power outage. Thousands of people are without power in the area, including more than 187,000 Pepco customers and 114,000 Dominion Virginia customers (as of 6:45 a.m.). Heavy rain quickly turned to heavy snow Wednesday afternoon, making a mess of the evening rush hour throughout the region unlike one many have ever seen here before, even during last year's blizzards. "Thundersleet" and "thundersnow" were reported across northern Virginia at about 3:30 p.m., as the cold air began mixing with the moisture. There were early reports of up to 4 inches of snow in Round Hill, Va., by 4 p.m., and snow has since covered the ground in the D.C. region. NBC Washington's Pat Collins measured an unofficial 6 inches of snow in Germantown, Md., before 7 p.m.
D.C. Public Schools announced late Wednesday that instead of a two-hour delayed start, schools will be closed Thursday. Public schools in Prince William, Loudoun, Fauquier, Culpeper, Stafford and Spotsylvania counties in Virginia will be closed Thursday, as well as Arlington, Alexandria, Manassas and Falls Church. In Maryland, public schools will be closed Thursday in Prince George's, Montgomery and Frederick counties. 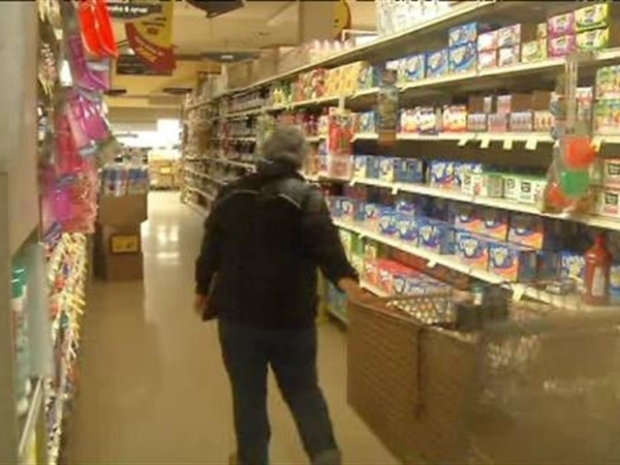 NBC Washington's Chris Gordon takes a look at the crippling effects of the snow in Prince George's County, Md. Check out all of the updated closings and delays and cancellations here. D.C. government also will be closed Thursday, but essential employees are still required to report for work. Federal government employees were told to leave two hours early in anticipation of the storm Wednesday. NBC's John Schriffen takes a look at the snow impact at Tysons Corner. Many of those who didn't get out early may still be stuck in traffic. Many area roadways were like parking lots Wednesday evening, and because the streets were so crowded, trucks and plows didn't have much room to maneuver and clear the snow. Motorists reported commutes of several hours. 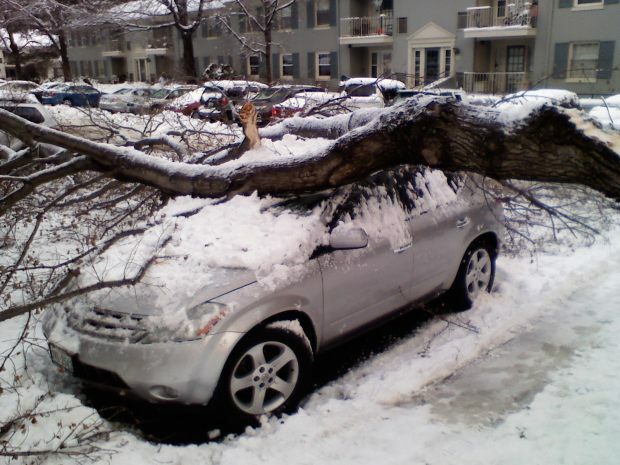 David Gregory, host of "Meet the Press," left his car at the studio in northwest D.C. and jogged home in the storm. He said traffic on Nebraska and Foxhall and other streets near American University was at a standstill. Metro began pulling buses off the streets at 9:30 p.m. because of the treacherous driving conditions. Most other local bus services started to pull their buses off the streets at 9 p.m., including Alexandria’s DASH, Arlington’s ART, Fairfax Connector, DC Circulator, PRTC, Fairfax City CUE, and Montgomery County’s RIDE ON. Officials said rain prior to the snowfall likely washed away much of the pre-treatment, contributing to the poor condition of the roads. Air travel was affected, too. Airports experienced significant cancellations and delays. Power outages, of course, have been reported in the area. As of about 10 p.m., Pepco reported 29,740 customers without power in D.C., 118,390 in Montgomery County and 41,099 in Prince George's County. BG&E had 33,647outages in Anne Arundel County, 9,316 in Prince George's County and 2,383 in Montgomery County. Dominion Energy said 138,945 customers were without power. This was a two-part storm; the first part was an area of low pressure that developed off the Atlantic seaboard, according to NBC Washington meteorologist Tom Kierein. It combined with an upper level disturbance that moved across the area, strengthening rapidly and drawing in some cold air, changing rain to heavy, wet snow. The snow was expected to be out of the area by midnight. 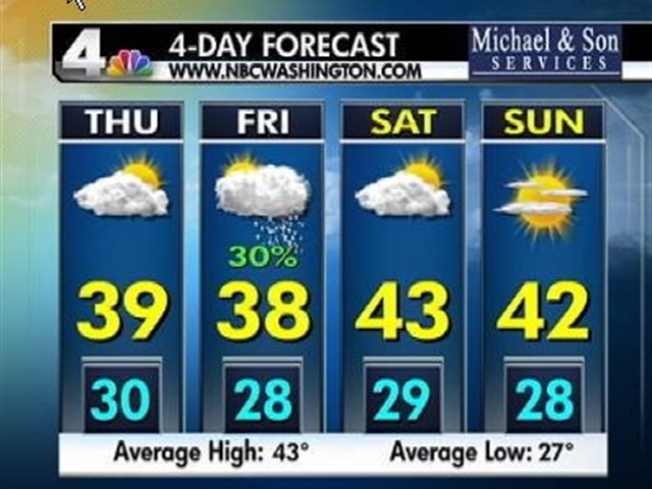 The change came suddenly, with rain changing to snow falling at a pace up to 3 inches per hour in some places, , according to NBC Washington chief meteorologist Doug Kammerer. Visibility also presented a problem as it decreased to less than 1/4 of a mile. Colesville, Md., got 8.5 inches of snow, Kammerer said. Columbia, Md., saw 7.8 inches. 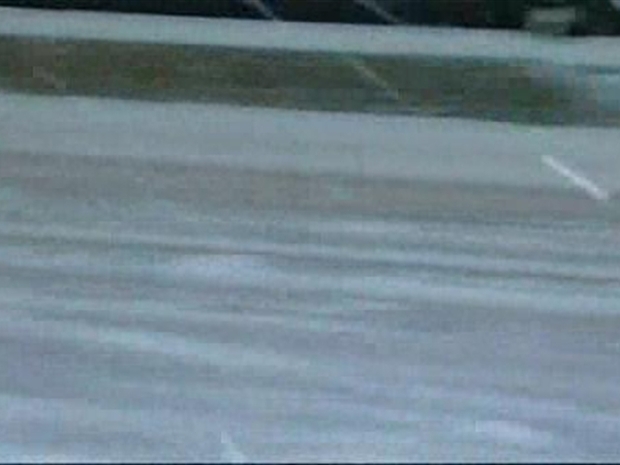 About 7.5 inches was reported in Laurel, Md. And Ashburn, Va., and northwest Washington each got 6 inches. Wet snow fell around the region Wednesday morning before turning to cold rain. This system will affect areas from Washington all the way to New England into today. So travel along the Northeast Corridor will be difficult and many flights will be canceled and delayed as the afternoon and evening progress.